The word “oasis” carries such passionate connotations that its definition extends beyond the literal term for a fertile water source within a desert. This secondary meaning pertains to the abstract idea of a haven; a place of refuge from an oppressive force. Native English speakers often whip out both concepts reflexively, but there’s an underlying elegance to the word’s ancient Egyptian origins that goes underappreciated. 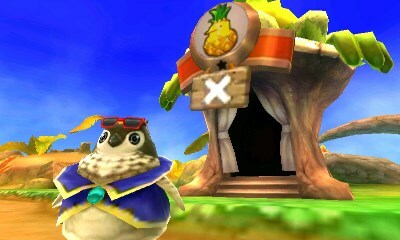 In Ever Oasis, producer Koichi Ishii - who has always had a great interest in themes around environmental preservation and living in harmony with nature as per his previous work on the Mana series - invokes this physical location within the context of Egyptian culture to articulate the sentiments towards surviving hostile environments. Despite a cheery exterior in the form of a chibi art style and charming character designs, Ever Oasis begins on a sombre note. The player guides a seedling named Tethi (or Tethu, the playable male equivalent) through an oasis managed by her chieftain brother, Nour. After introducing herself to the townsfolk, the oasis is suddenly under siege by shadowy creatures called Chaos. Fearing the worst, Nour sacrifices himself to save his young sister and trusts Tethi to prepare a new oasis under the unyielding rays of the desert sun. This intro, while hard-hitting in and of itself, serves a greater role. As Tethi gradually convinces dozens of travelers to join her budding oasis, you’ll discover that many of these recruits have been subjected to heartbreak or have personality quirks they're working through. Life in the unforgiving desert doesn't grant them much luxury to mope around, so these stories tend to just pop up in casual conversation. At the same time, characters don’t ignore the world's hardships or lie down for them; they treasure the present and build a foundation for the future. Whereas many stories would reveal very explicit, tragic flashbacks for half the cast, I found this one’s subdued approach to developing its characters quite refreshing. Anime such as Yu-Gi-Oh! 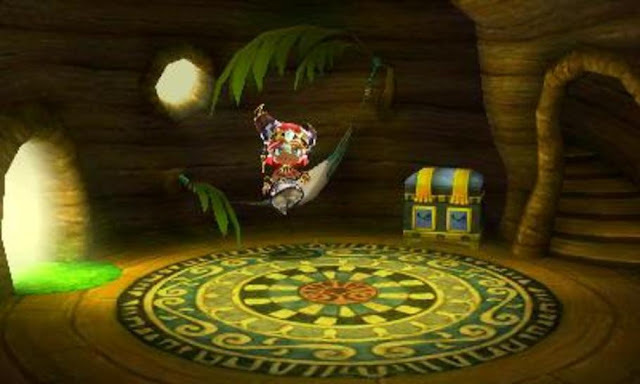 (which, coincidentally, shares an Egyptian theme) will often push the “friendship” motif down the audience’s throat, but Ever Oasis revels in the fact that it’s interactive. It instead shows players a scenario in which the bonds between neighbours are an observable lynchpin for society using gameplay, leaving them to explore the depth of that relationship for themselves. The opening scene with Nour’s passing gives Tethi (and the player) something direct and tangible to relate to when interacting with others. Just like real life, you can’t expect to grasp the weight of everyone’s emotional burdens, but you can empathise and actively work to enrich their lives. Ever Oasis’s comparison between the struggles of ecosystems in the desert and human relationships isn’t the most profound statement made in a video game by any stretch, but its execution is refined. The messages here are ones you'd expect to be directed at children and teens – overcoming adversity, contributing to society, protecting what you love – but they’re told with maturity. For a game that features cute characters experiencing all manners of woe, I did not expect Ever Oasis to feel as uplifting and triumphant as it does. There’s even a great little coming of age story based around Tethi surpassing her brother Nour and it’s implemented into the gameplay. Nour’s grandiose display of wind powers at the beginning of the game is a sight to behold and makes his sister’s command of the wind look utterly hopeless by comparison. Once the quest unfolds, the player will occasionally run into sand obstacles that need to be pushed by force equal to Nour’s, but rather than have the attack animation be completely ineffective, you can see the sand losing its resistance every time Tethi powers up. 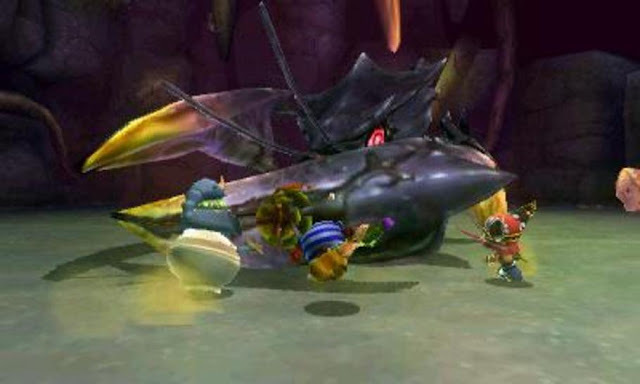 The game uses the age-old convention of preventing progress until you get an upgrade and turns it into a visual representation of where Tethi stands as a leader in the story. Without mentioning story spoilers, this runs even deeper than I’m letting on. 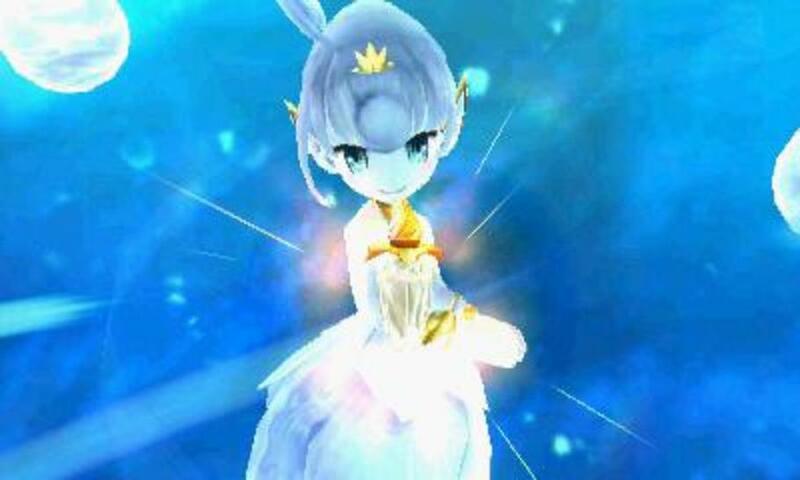 Ever Oasis's greatest achievement is conveying a sense of synergy and symbiosis through its game mechanics. As chief of an oasis that’s starting from virtually zero, Tethi has to solve problems for outsiders to convince them to take up residence. Early residents contribute by opening up shops. Consumers will then stop by these sales booths and a portion of their cash (a tax, effectively) is redirected to Tethi, the chief. That money gets invested in having new residents gather materials, fight monsters, or operate gardens. When all the micromanaging begins to overwhelm the chief, others step up and oversee administrative work. Everyone has a role to play. Though some might argue Tethi is the most crucial link of society since she assumes initiative while the townsfolk are reactionary, the fact remains that the system is held in place by even the bit players. It’s not as if she’s irreplaceable either; many residents pull double duty and any role she plays could be (and often is) performed by someone else. 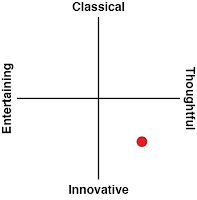 Most telling are the pros and cons associated with the oasis’s health. The positive emotions of the denizens grant obscene stat boosts to Tethi. By this I mean a level 25 character without the help is vastly inferior to a level 7 incarnation with half-decent support from the oasis. Should the player, say, pour all effort into grinding Tethi’s level and neglect the oasis, the oasis will slowly get infected as the clock ticks and render stat boosts negligible. Only by relying on her people can Tethi protect them. 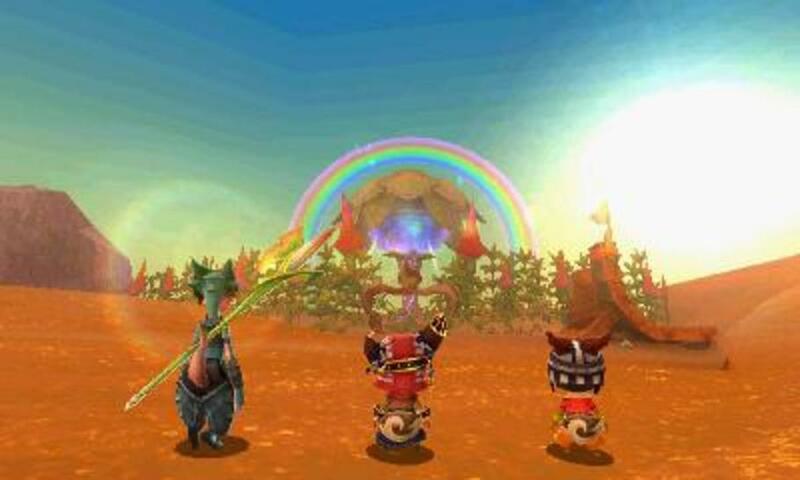 Because Ever Oasis is as much about developing its central oasis hub as it is exploring the harsh surroundings, there’s a lot to absorb outside of oasis management. Chief among these is the exploration of the vast desert surrounding home. You’ll find yourself scavenging for materials or seeking out travellers to progress through the story. The occasionally labyrinthine structure of the overworld helps perpetuate a sense of oppression as daunting as the enemies you’ll fight along the way. That’s important, what with the oasis being the symbol that it is. Punctuating that exploration of the overworld is a no-nonsense combat system that plays out like a love child of the Zelda and Mana franchises. As the oasis develops, you’ll graduate from one on one bouts to a party of three built to handle swarms of foes such as Chaos-possessed bats and squirrels. Dodging and selecting the appropriate slash combo is easy enough when enemies have exploitable patterns and can be countered. There’s an emphasis on action over critical thinking, but the stakes are gradually raised and combat reveals its intricacies. To namedrop Zelda again, the dungeons here are fundamentally identical in that you're solving rooms of smaller puzzles with the goal of grabbing a big key and squaring off against a boss. The difference is that Ever Oasis takes a more action-oriented approach rather than implement complex puzzles. The challenges that are present would be pleasant enough if not for the need to solve them using an awkwardly implemented partner system. The residents of your oasis come outfitted with fascinating abilities, but using them can be more trouble than it’s worth because you’re locked to two abilities at any given time or are forced to use inferior weaponry. Imagine playing Zelda but reequipping an item takes about 45 seconds instead of one. There’s a bandage solution that lets you teleport instantly back to town to reshuffle your party, but the fact remains that the flow of exploration and the ability to acquire items is needlessly compromised. More importantly, this overpowered use of teleportation hampers the game's ability to present the desert as a threat. On a purely technical level, the amount of time you spend maintaining your home isn't far off from the time you'll spend exploring and slaying monsters. Ever Oasis doesn't feel like two styles incessantly clashing but two inseparable parts of a whole, hammering home that aforementioned thematic synergy even more. While there are mechanical grievances I could air, none are as taxing as the aforementioned ability juggling and they’re of such a nature that an update or sequel could address them effortlessly. What I feel could use fine-tuning is how oasis dwellers are presented. A game like Animal Crossing reuses a very limited pool of villager archetypes for its hundreds of potential citizens, but each one is dynamic and there are singular aesthetic quirks to make them special. Here there are many characters that technically have unique dialogue and traits, yet the writers do a dodgy job of actually displaying these through conversation. Only a handful of characters stand out as people beyond their initial character descriptions displayed on the touch screen. 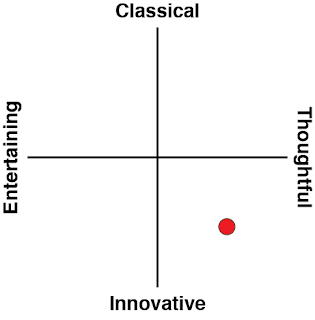 I’m unsure whether the lack of personality is a product of time constraints, milquetoast localisation, or a conscious design choice to deemphasise individualism, but it stifles the emotional resonance of certain events in any case. For a game in which relationships with others is a central theme, I do wish it encouraged you to interact with civilians on some non-business level beyond the mundane chatter you’d expect of a JRPG NPC. Given the wealth of collectible materials and presence of item crafting, it would have at least been pleasant to have a gift-giving system in place ala Harvest Moon. For what it’s worth, though, the character animations that accompany the text are exceedingly charismatic and even breathe life into silent protagonist Tethi. Similarly, Grezzo did a terrific job of portraying nature within desert landscapes using diverse wildlife and pigments of sand far beyond the stereotypical shade of ochre that springs to mind when one hears the word “desert”. Perhaps developers tend to steer clear of games that take place mostly in sandy environments because of a perceived similitude, but Grezzo has proven in grand fashion that a memorable and cohesive world can be achieved with sand as a central building block. We tend to think of deserts as suffocating and lifeless, but Ever Oasis reminds us that they have a pulse and organisms to make them functional ecosystem. 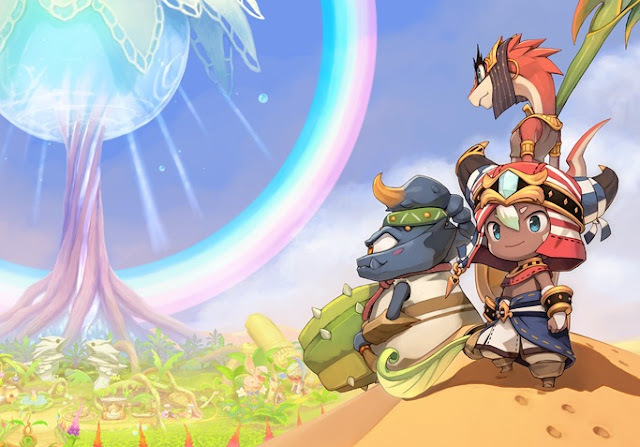 There’s room for Ever Oasis to further refine its basic formula, but its vision is a refreshing one that indulges the strengths of the video game medium. Developers often simply “attach” complex stories to game design, but Ever Oasis’s simple tale resonates so strongly because its narrative and mechanics are so often interwoven. As a result, conventions we take for granted like helping others through sidequests are reinvigorated, transcending reward-based busywork. For a game that looked like another cute little timewaster, Koichi Ishii has outdone himself.